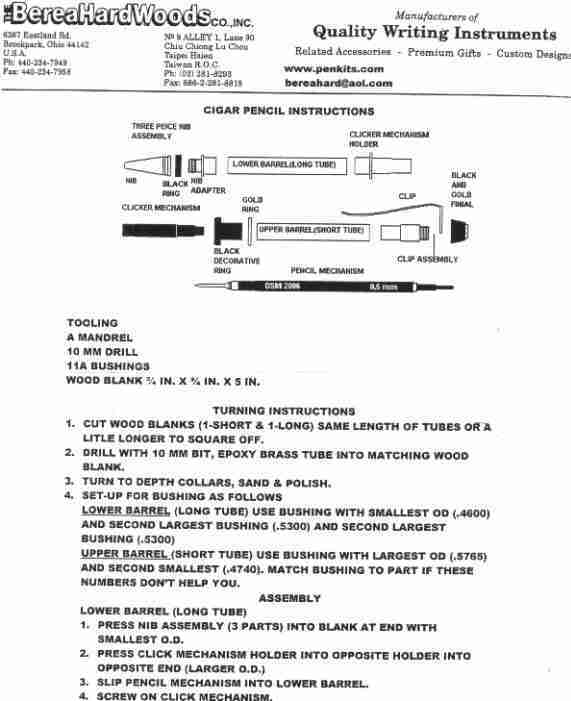 The following are the instructions provided by Berea Hardwoods. They are copyright Berea Hardwoods and Robert W. Keyes. Supplemental Instructions with Photos on how to assemble the center band.